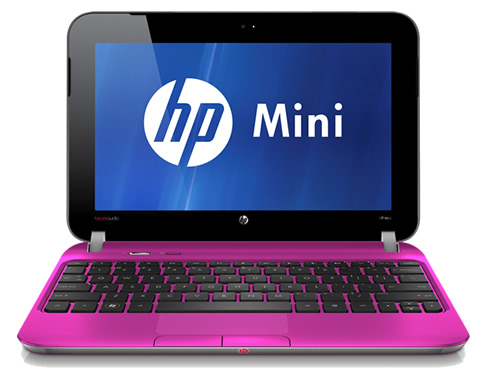 The HP Mini is a decent netbook, but is really going to appeal only to those needing a budget machine that runs Windows. Tablets such as the iPad 2 are hugely popular with business people for tasks such as internet browsing on the move, and represent a better option if your aim is primarily for content consumption. However, while they're more portable, high-end models will set you back around twice the price. For those who need to carry out serious productivity on the move, it's worth splashing out a bit more on machines packing Intel Core i3, i5 or i7 chips. The HP Mini 210-3002sa is possibly the best netbook we've seen – solidly constructed, usable and you don't necessarily have to buy it in a garish colour. It is slightly pricier than some of the netbooks we've seen at £269 inc VAT, though it isn't the most expensive. However, low-end ultraportable laptops would be less than £100 more and have far more grunt than an Intel Atom chip can provide, so if you do need something more versatile, that might be a better option. The standout feature of the HP Mini is the sound quality – it really has to be heard to be believed – so as a portable entertainment machine, it represents good value for money.